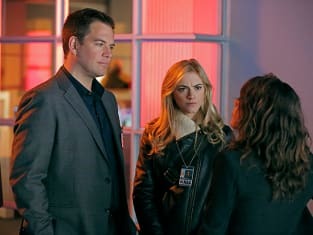 This was definitely a somber episode of NCIS. It didn't complete the Parsa storyline, but it did pick up where last Tuesday's installment left off: Delilah is awake. And McGee is at her bedside. He then had to go back to work, but he was clearly not himself. Gibbs advised his colleague to take it easy, while Tony has his own solution for McGee: Casserole! The gesture didn't exactly work, but it was very sweet and enjoyable to witness. Elsewhere, Bishop is coming along well, don't you think? We're getting more and more of her each week. McGee: I should have been here when you woke up. Boss, would you mind sitting with me? Permalink: Boss, would you mind sitting with me? 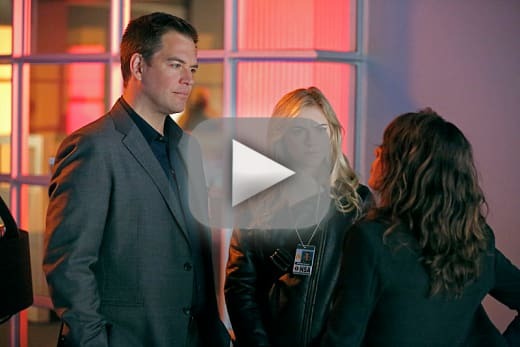 NCIS Round Table: "Double Back"